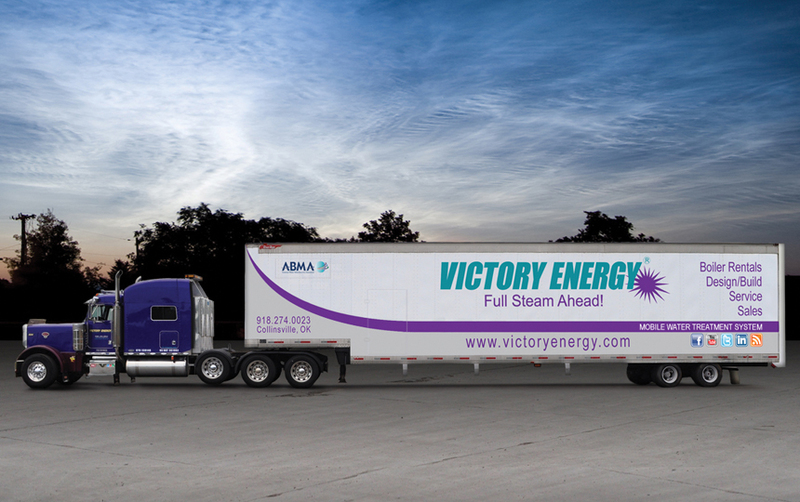 Victory supplies cost-effective mobile boiler rental units for virtually any utility, institutional and industrial steam application. 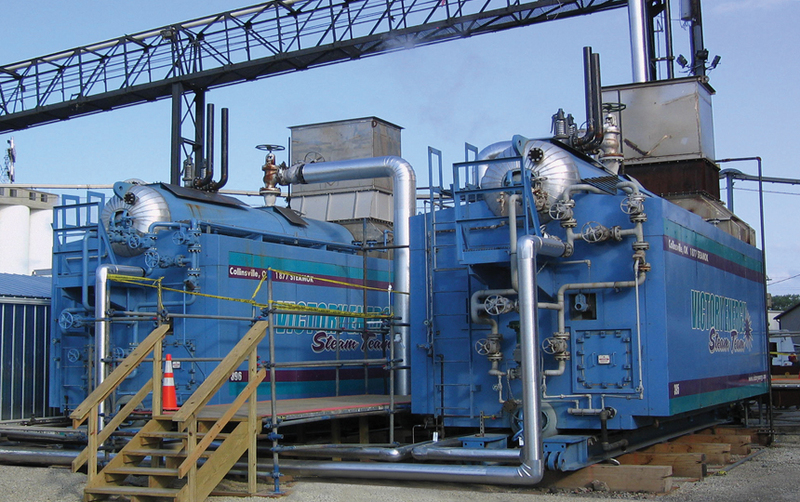 Our trailer-mounted boilers range in size from 40,000 lb./hr. to 150,000 lb./hr. with operating pressure from 100-750 psi. These units are mounted on customized, highway-legal trailers. 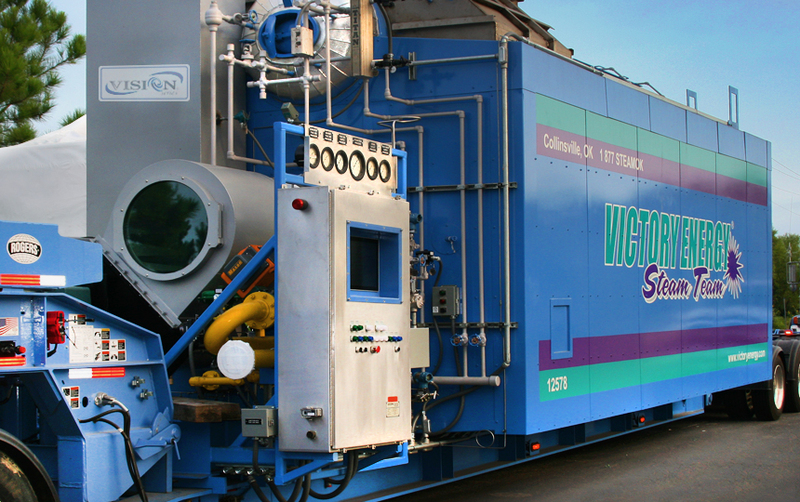 Our mobile boilers can be dispatched directly to a job site, quickly and safely. 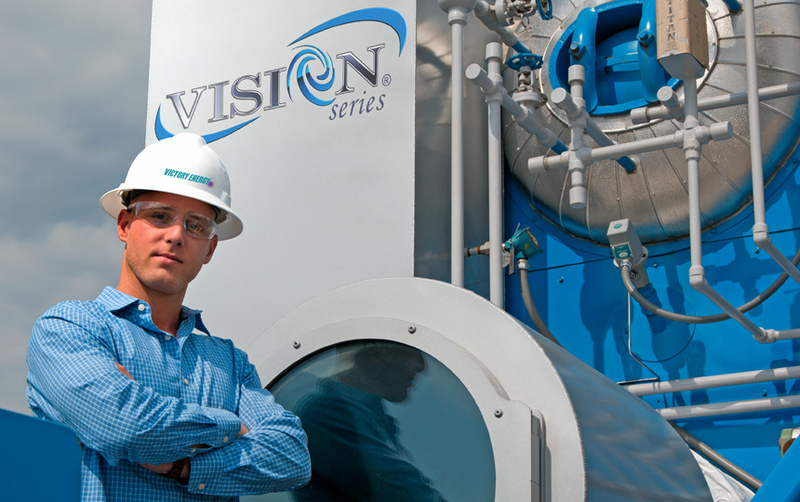 We provide 24-hour phone service and 24-hour boiler-technician dispatch. 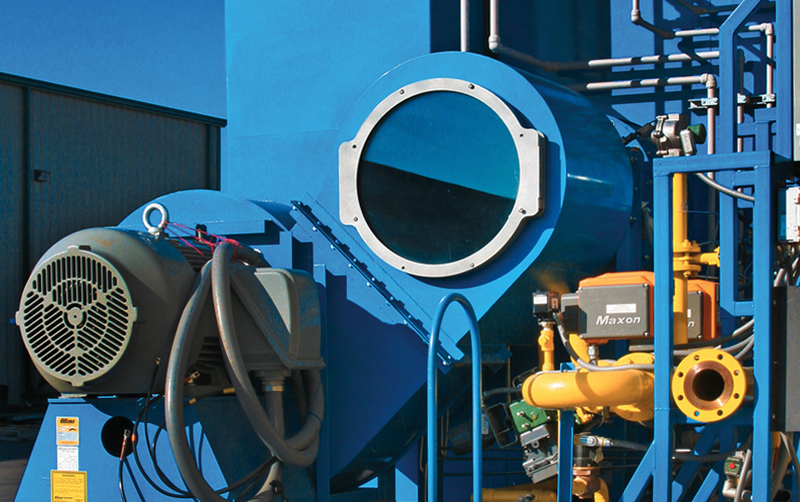 Upon arrival, there are no cranes or rigging required; no need for special handling to load or unload boilers at either the job site or the storage yard. As a result, you save time and money. 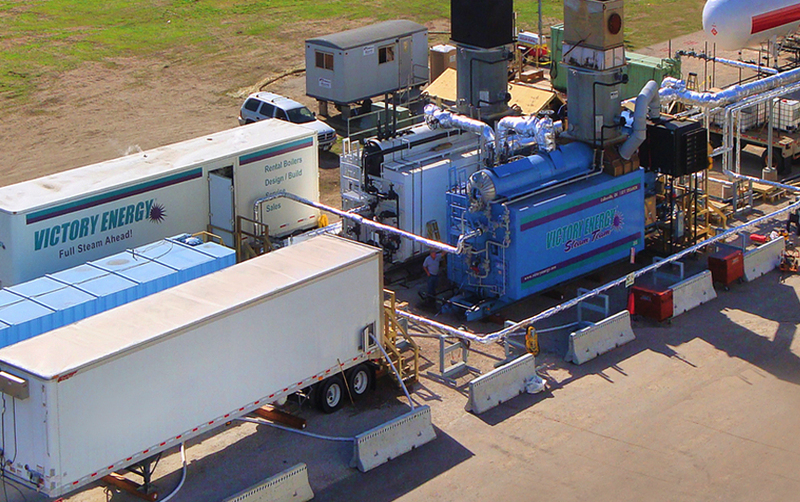 Custom trailers facilitate the maneuverability of trailer-mounted boilers. 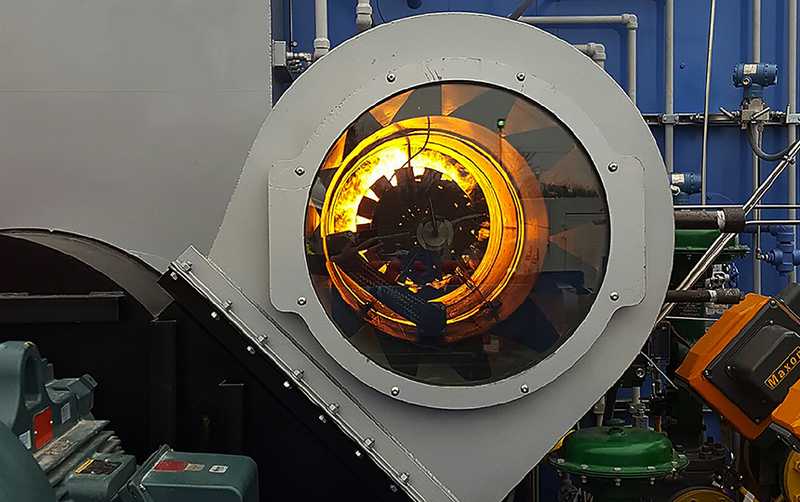 Because our mobile boiler systems are essentially self-contained, only connection to an electrical power source, fuel and water supplies, and a steam header are required for operation. 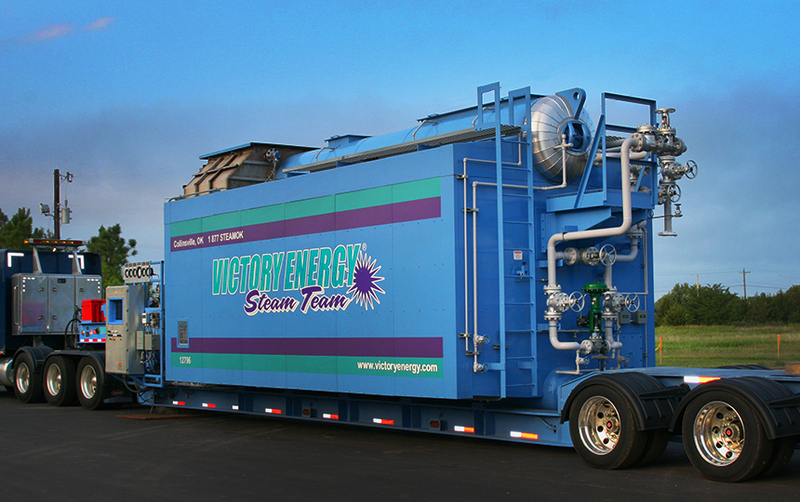 We also have the capability of providing mobile water treatment systems designed to operate with our rental boilers. Optional 75,000 PPH mobile water treatment systems include deaerators, water softeners, boiler feedwater pumps and a chemical treatment system, pre-piped and wired within a standard 53-foot over the road enclosed trailer. Our equipment and services are available 24/7.